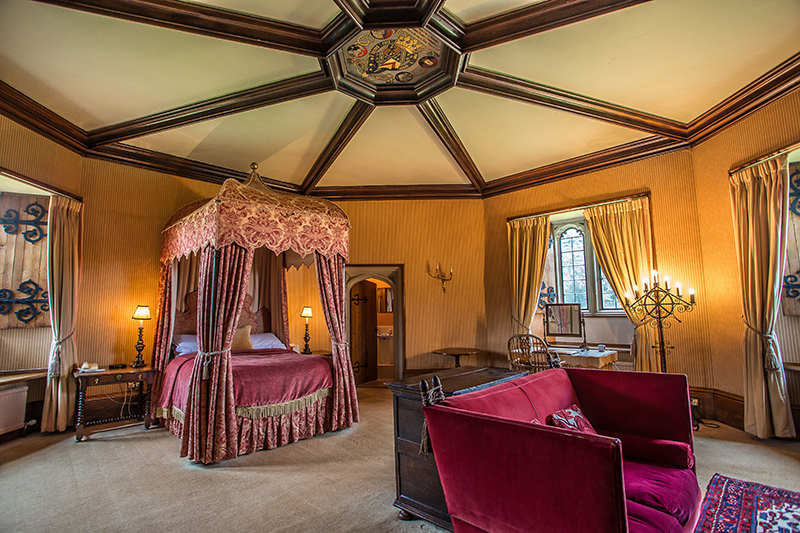 “Queen Elizabeth I slept here” is the sort of claim that is often heard when touring Britain. The much-travelled monarch may or may not have made her repose at all of the places claimed on her royal progress around the country, but what’s certainly true is that there are a lot of places where we can stay that have connections to the monarchy. From Good Queen Bess through to her present-day counterpart and family, from places owned by members of the royal family to those they have stayed in or visited, there are castles and inns, hotels and holiday cottages where you can tread in those royal footsteps. Castles are an obvious candidate – and indeed a successful one. 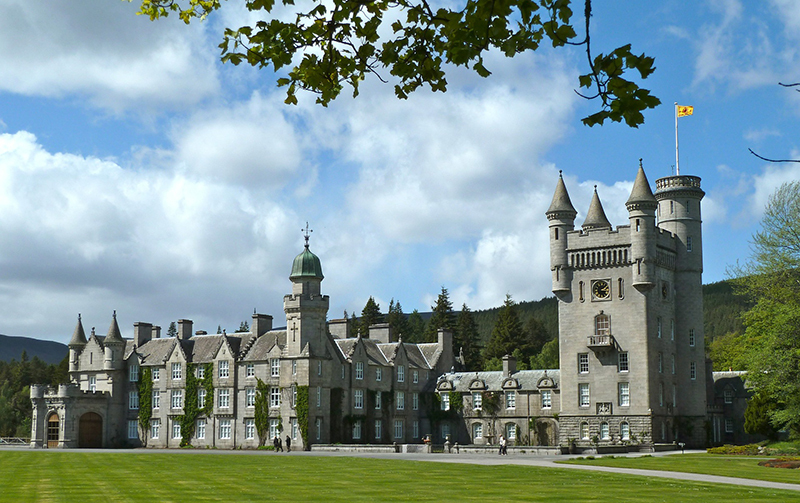 We’ve yet to hear about apartments at Buckingham Palace being let as holiday accommodation; however you can stay at the royal Balmoral Estate in Scotland – where the castle was built for Queen Victoria by her beloved Prince Albert and which is still a favourite royal retreat today. It has special memories for HM The Queen as it was here that Prince Philip proposed to her in 1946. Holiday cottages on the estate range in location from close in among the castle’s buildings to a few miles away in the countryside. 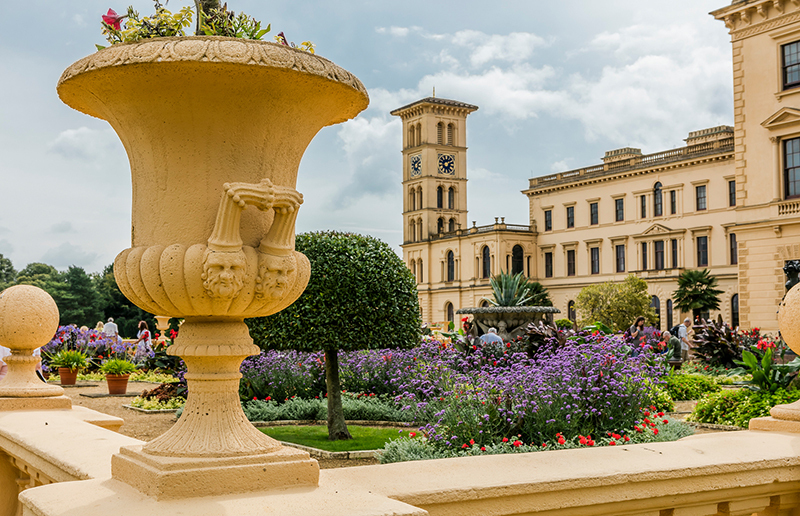 Another retreat of Queen Victoria’s was Osborne House, the Italianate villa built for her by Albert on the Isle of Wight. Here, English Heritage runs the former cricket pavilion as a spacious holiday cottage for up to four. English Heritage also has a castle on the Isle of Wight: a holiday apartment in Carisbrooke Castle. Charles I was imprisoned here before his trial, and Princess Beatrice, Queen Victoria’s daughter, lived at the castle in her role as Governor. 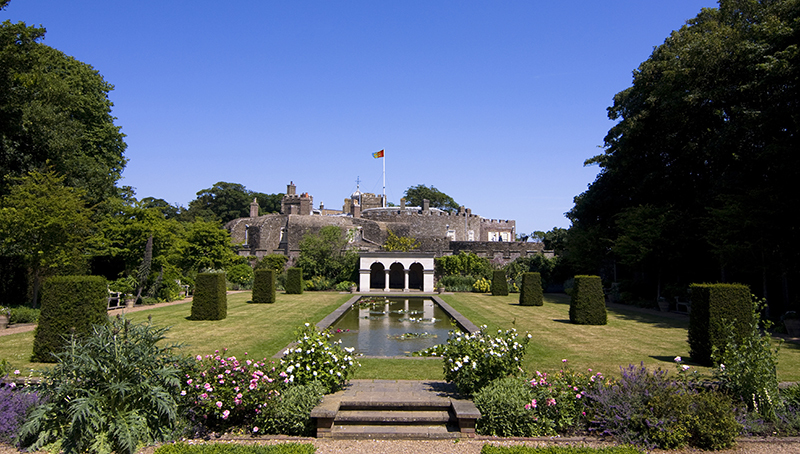 Another in the English Heritage portfolio is Walmer Castle in Kent, official residence of the Lords Warden of the Cinque Ports. A two-bedroom cottage looks over the walled kitchen garden. The Penelope Hobhouse-designed garden dedicated to Her Majesty Queen Elizabeth the Queen Mother, a former Lord Warden, is a tranquil retreat. 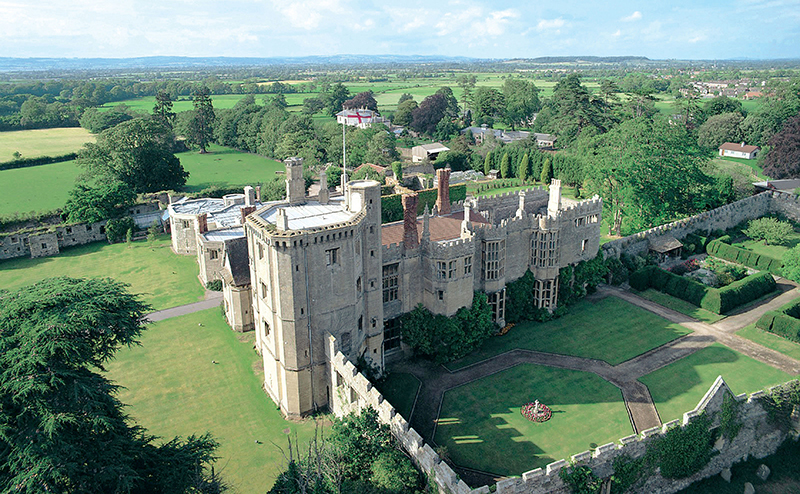 At Thornbury Castle near Bristol, now a luxury hotel, you can sleep in the same chamber where Henry VIII stayed with Anne Boleyn, and look out of the same windows as Henry’s daughter, Princess Mary (later known as ‘Bloody Mary’), who spent some of her childhood at the castle. Thornbury had become the property of the Crown after Edward Stafford, 3rd Duke of Buckingham, was executed but Mary later returned it to the Duke’s son. 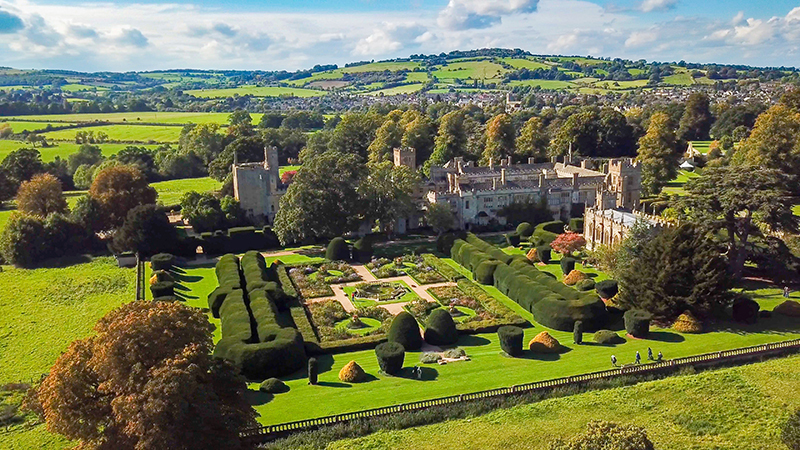 West into the Cotswolds, Sudeley Castle, frequented by Anne Boleyn, Catherine Parr and Lady Jane Grey, has holiday cottages on its estate. Mary, Queen of Scots ‘stayed’ in many places around Britain during her tragic life. What is now the Old Hall Hotel in Buxton, Derbyshire, was a house built by Bess of Hardwick at the request of Elizabeth I, in which to keep Mary under house arrest. 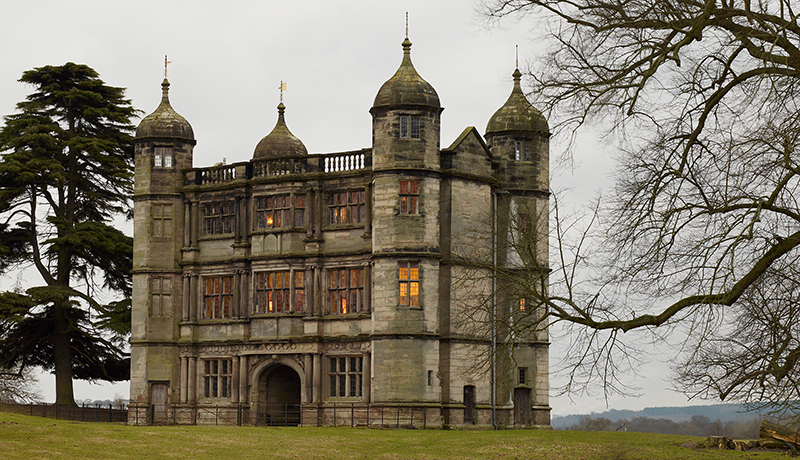 In nearby Staffordshire, Tixall Gatehouse, where the Landmark Trust now has a holiday cottage, was a temporary prison for Mary while her quarters at Chartley were being searched for incriminating evidence in 1586. That other short-lived royal, Charles I, stayed at the coaching inn, The George of Stamford near Burghley House in Lincolnshire, in 1641 and 1645, and his son, Charles II, made New Park Manor, in the New Forest, his favourite hunting lodge after he’d returned from exile in France. Nell Gwyn was in attendance. The manor became a country house hotel in 1970 and decorative acorns and oak-leaved patterns can be seen around the building, commemorating the famous oak tree in Shropshire, where Charles hid from Cromwell’s men on his escape to France in 1651 after the Battle of Worcester. Moving forward in time to the Hanoverian royal family, George III’s second eldest son, Frederick Augustus (supposed to be the subject of The Grand Old Duke of York song), was one of the famous residents of what is now The Royal Crescent Hotel in Bath. The hotel occupies houses 15 and 16 of the famous Royal Crescent, which was built between 1767 and 1774. Queen Victoria was a great traveller: her explorations around Scotland, from her base at Balmoral, took her and her entourage to several hotels. 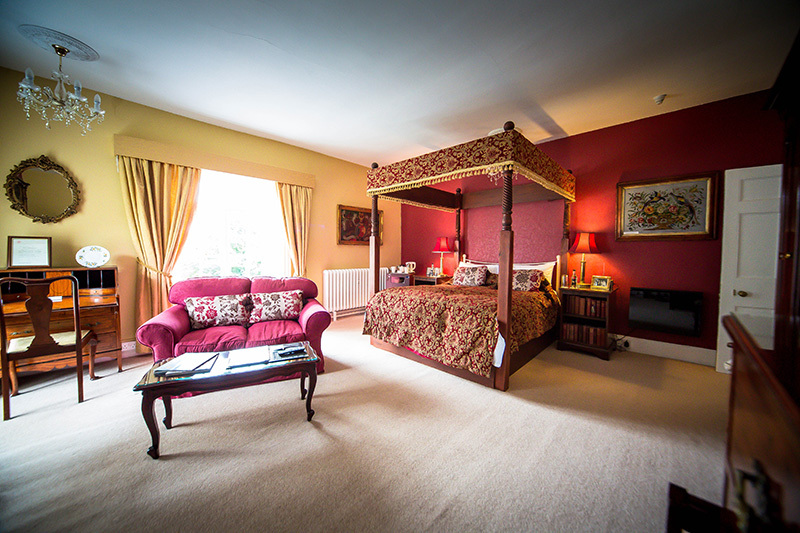 The Royal Hotel at Comrie in Perthshire, set in the splendour of the southern Scottish Highlands, was given its royal title by the Queen after a stay there. In Wales, she bought the white manor house near Machynlleth which is now Ynyshir. She refurbished the hall and established the beautiful gardens, and is thought to have slept here too. Victoria’s second son, Prince Alfred, lived at Eastwell Manor in Kent for 20 years. There is also a photograph showing Edward VII enjoying a house party there. His successor, Edward VIII, who famously abdicated less than a year into his reign to marry the American divorcee, Wallis Simpson, used to stay at Carlyon Bay, a hotel on the cliffs above St Austell in Cornwall – which also welcomed Prince Charles and Princess Diana. After this whirl of royal touring, let’s pause for a rest at Plas Dinas in Snowdonia, North Wales. This country house was the ancestral home of the Armstrong-Jones family, and Lord Snowdon and HRH Princess Margaret once lived there. 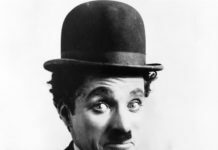 It’s set in 15 acres, with beautiful scenery and ten luxury bedrooms, and the house still contains many of the family’s antiques and memorabilia today.